The Aloe Vera plant that I have on my kitchen window sill. 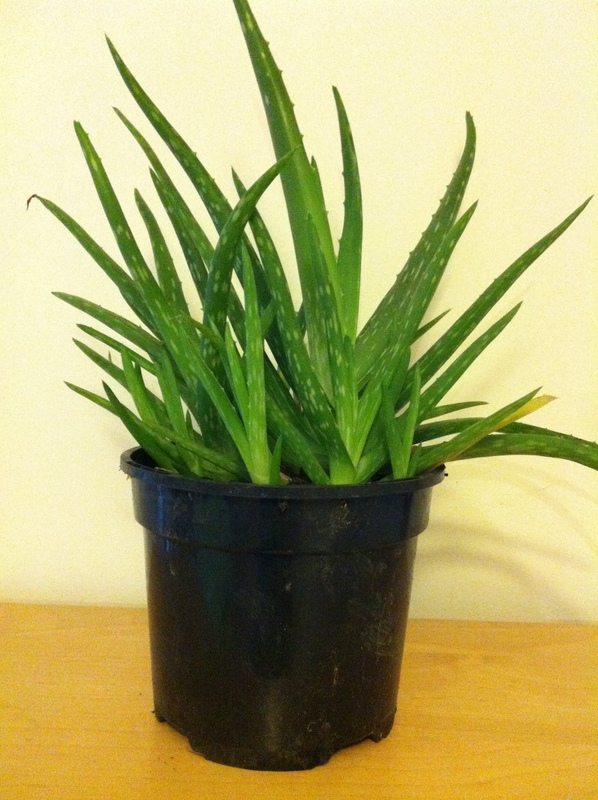 Aloe is absolutely brilliant for burns as it cools immediately & quickly promotes healing. Administering it is easy, just break off a juicy leaf, split it & use the concentrated gel, pure & straight from the plant is much better than the creams & lotions now available. It’s also an excellent remedy for sun burn. I’m a fan of herbs & natural remedies & would also recommend pure Lavender essential oil for burns which is gentle enough to be applied neat. I make up my own after-sun cream using unperfumed, lanolin free base lotion & add Peppermint oil to cool (& you can really feel it taking the heat out of hot, burnt skin) with Lavender to encourage cell re-generation & healing. Ahh, there’s a dream, hot sun…… Roll-on summer.